Facebook has taken the step of rendering ad blockers ineffective on its desktop website by making them "indistinguishable" from non-commercial content, as well as giving users more control over which ads they see. PALO ALTO, CA: The social media giant said it is making its users’ ad preferences "easier to use" so that Facebook account holders can select whether they want to stop seeing certain types of ads. In a blog post, Facebook said it was adding tools that allow users to stop seeing ads from businesses that have added them to their customer lists. 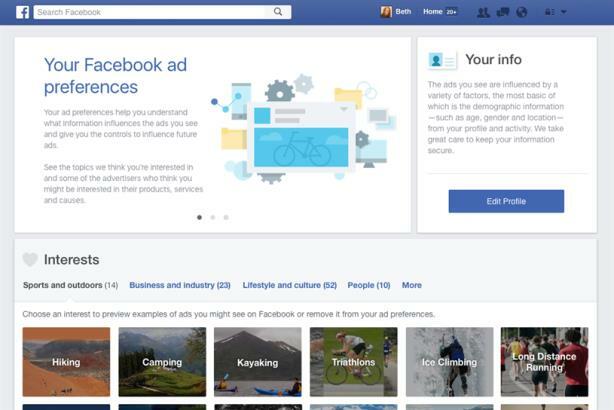 Andrew Bosworth, the director of Facebook ads engineering, said: "If you don't want to see ads about a certain interest like travel or cats, you can remove the interest from your ad preferences." "We also heard that people want to be able to stop seeing ads from businesses or organizations that have added them to their customer lists, and so we are adding tools that allow people to do this," he added. "These improvements are designed to give people even more control over how their data informs the ads they see." Bosworth insists that Facebook’s users understand the value exchange of getting a free service in exchange for consuming ads, but that its new tools were designed to address underlying reasons for blocking ads. He said the adds would be "indistinguishable" from other content from an ad-blocker’s perspective. "We've designed our ad formats, ad performance, and controls to address the underlying reasons people have turned to ad-blocking software," Bosworth added. "When we asked people about why they used ad-blocking software, the primary reason we heard was to stop annoying, disruptive ads. As we offer people more powerful controls, we'll also begin showing ads on Facebook desktop for people who currently use ad-blocking software." Because the ads exist within the Facebook ecosystem, it has no need to block users with ad-blockers, while other online publishers rely on third-party companies to serve ads. Randall Rothenberg, president and chief executive of the IAB in the U.S., said: "Advertising is essential to the functioning of democratic capitalism; it is how consumers and citizens learn about better prices, better features, better job opportunities, and even better political candidates." "Facebook should be applauded for its leadership on preserving a vibrant value exchange with its users," he added. "Its decision to respect advertising as an essential ingredient in connecting users worldwide is spot-on, and should be replicated across the free and open Internet."